I had the most amazing experience yesterday on the eve of Guru Poornima. 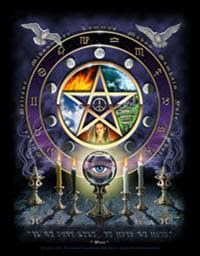 My day started late and was anticipating the evening's "Tarot Spell" event. I had a couple of clients who had signed up for it but as it was raining since morning and there were traffic jams everywhere I doubted who all will actually turn up. The event was suppose to start at 7:30pm and at 5:30pm I realised I didn't have "Lavender Oil" required ingredient in one of the spell. I had a quick tea and toast, went outside to catch an auto to the store. I waited for 45 min in rain on roadside to catch an auto. Somehow got one, paid him extra and he dropped me on half way :-(. I was so anxious that I forgot to ask help from Angels. Called a friend cribbing about my situation who reminded that I can pray; yes it happens to me too. Said one small prayer, somehow reached the store, grabbed some candles along with the oil and reached home back by 7:30. Until 8:30pm no one turned up and I was doubted anyone actually would. Within next 20 mins all the four clients turned up, huffing and puffing and drenched in rain. Good thing I had prepared some extra tea and they were very glad to have it. Oh it didn't end then. After that was turn of my roommate, her cousin and myself. I took a break and by the time I could get time to meditate myself it was 4am.